TPT is a great resource for English teachers, both with and without a budget. You can go there for inspiration, to get ideas for new curriculum for your students. You can go there to shop, buying curriculum and decor that meets your needs and makes your load lighter. Or you can go there to download, because just about every seller offers a plethora of free items. 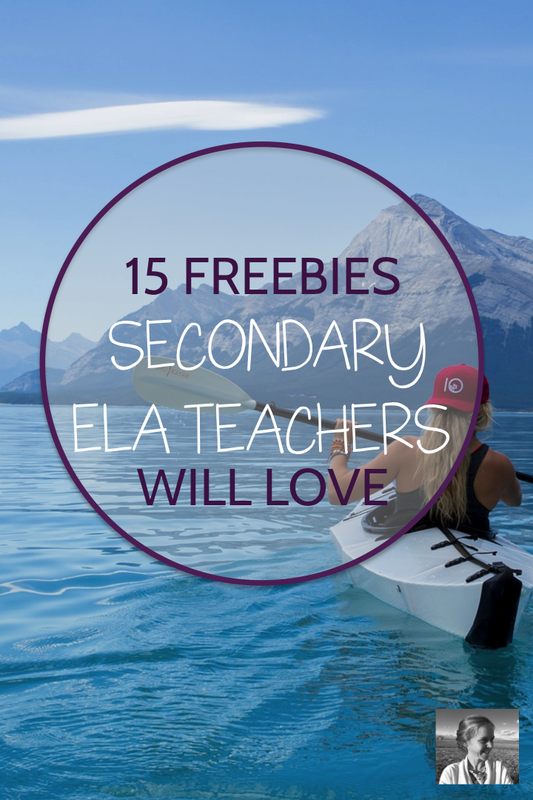 This week I took a deep dive into the secondary ELA freebies of TPT. There's a lot of good stuff out there, but these fifteen are my current favorites. Check out the list and I'll be stunned if there aren't at least three you want to go download (free!). Before you follow the links to TPT, here's one great freebie you can get from me. It's a packet of four one-pager templates (each with specific instructions to guide your students in their critical thinking). These will get you going with one-pagers with ease, whether or not your students enjoy art. Find out more and see a short video right here. Laura Randazzo has pulled together a wonderful series of blog posts, a full Prezi presentation, her own classroom materials, and examples from her students in their work with 20 time. If you've been sharing about Genius hour and wondering if it's for you, why not start with an incredible free packet? Get your students thinking critically early in the term as they use their creative skills to invent the kind of school they would want to go to. You'll learn about how they learn best as they fire up their imaginations. I love Stacy Lloyd's style. These fun printable signs allow students to quickly share their opinion with the lift of a hand, and help keep all students involved in the conversation. If your students tend to fall into the same old discussion ruts, use these printable discussion role cards to encourage them to try out new roles. They'll gain a whole new perspective on how they can use their own voice and what others can contribute as well. Revision Stations for Any Essay, by Read it. Write it. Learn it. 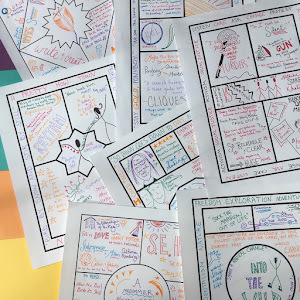 If you'd like to create a more in-depth revision process for your students' analytical writing, this awesome packet of station materials is your golden ticket. Get students up and moving as they improve their writing. 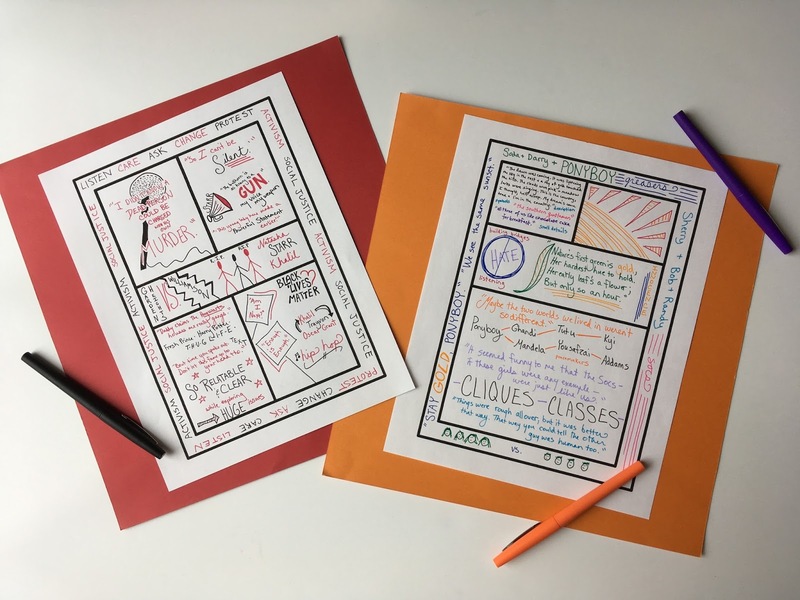 Guide students in showing you which topics they understand and what they need to review further with this fun color-coding strategy from Addie Williams. If you need to show your students how to annotate, look no further than this two-page guide. These are wonderful pieces of classroom decor that promote good things in our school communities. The SuperHERO Teacher is a leader in making educational spaces beautiful and meaningful. Jazz up your reading library with these fun printable posters. These attractive modern posters express all the right things, with a nice literary flair perfect for the English classroom. Let students show you what they've learned at the end of the lesson using these fun Hashtags Exit Passes, then display them under the included heading poster. So fun! Get the steps for your students to complete this super popular poetry activity, plus a Prezi of great examples from popular texts. Let students get acquainted with the bard through this research-based collaborative mini-presentation. Use these as a fun finish to the year, offering students small gifts such as "I'll Drop Your Lowest Homework Grade" and providing a de-stressing activity as finals approach. I hope you've found something you're excited about!